SAN FRANCISCO (MarketWatch) -- A growing number of online advertisers are bidding a partial goodbye to Google Inc. Frustrated by the soaring price of Internet-search advertising and diminishing returns from the ads they buy, mid-sized advertisers say they plan to reduce how much business they do with Google this year -- in some cases, significantly. Last year, for example, eBags.com co-founder Peter Cobb spent between $5 million and $8 million to peddle suitcases, handbags and other carrying cases online. Google got 75% of that amount. But this year it will get "significantly less," Cobb said. "The Google percentage has got to go down," he said. In many cases, the cost of an eBags.com ad placed on either Google's own Web site or one of its affiliates now equals 45% of the price of the product it promotes. That's crimping the company's own profit margins and forcing it to look elsewhere to market its bags. Keyword search prices on many terms rose between 40% and 60% last year, according to advertisers like Dan Sackrowitz, chief executive of Bare Necessities, which sells lingerie online. He saw his Google ad budget soar 50% last year. The problem is obvious, traffic costs are puffing up like a marshmallow in a microwave and advertisers are having a hard time finding ways to increase traffic and lower costs. Simply put, Google advertisers are hooked. Instead of looking for ways to increase return on traffic investment, the average marketer will look for another traffic fix. We've said before that the marketing battleground of the future is not traffic acquisition, it will be traffic conversion. The exceptional marketer is looking for ways to optimize their keyword and landing page conversion rates. Optimizing landing pages is something we've been doing with our clients for quite some time. We are a premier channel partner with Google and their new testing platform Google Website Optimizer beta. If you are interesting in our landing page optimization coaching service, we are going to take on a few testers over the next few weeks to participate in this beta with us. Contact us if you want to know more. 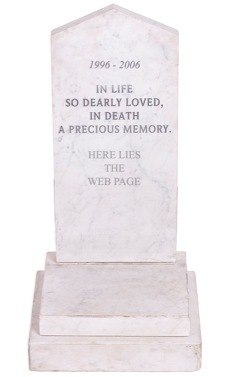 The Web page was pronounced dead on October 9, 2006, after a long bought with chronic irrelevance. A large group of marketers attempted CPR and other heroic resuscitation techniques. Witnesses present at the scene told reporters that despite a few minutes of chaos, the Web page's last moments were largely serene and peaceful. "She was a quiet and powerful beast, and she died doing what she loved," states one observer. "While Web 2.0 technologies and persuasive scenarios were certainly contributing factors, we have determined they were not the cause of death," said a spokesman for the Web page's care provider. "She was just too irrelevant, and she never quite recovered. She just couldn't keep pace or serve the needs of today's marketers any longer." Read Bryan's Entire Article over at Clickz. Contrary to popular belief radio is not dying. It is, however, changing drastically. What we are witnessing is the medium of 'audio broadcasting' being molded and morphed at the hands of a populice in more control of their choices. 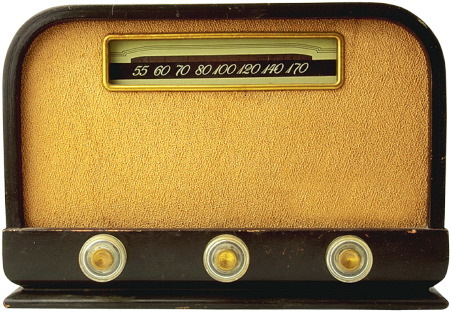 Radio isn't radio anymore, it is now 'terrestrial' radio and it sharing more of it's audience (and revenue) with it's offsping; internet radio, podcasting, and satellite radio. Even as the populice is having influence on the radio universe many broadcasting sites remain irrelevant and downright yucky. And of course 'terrestrial' radio is struggling to remain viable. The answer to this? Today, consider a few terms that will help; radio personas, predictive modeling, and persuasion architecture. Combining the three allow stations to build an online presence that delivers better results. Building a radio persona will let you create predictive marketing that gives clues to how you should build your web site with persuasion architecture. Read the entire article. Interestingly enough, this conclusion came as a result of Bryan Eisenberg's 2 part rant over at ClickZ about the state of satellite radio's online efforts. Read part one, then part two. Anyone doing PR just may want to take 5 and read the article. Craig Danuloff from Commerce360, leads an insightful chapter by chapter discussion of the book. There's been plenty of pub for the release, I gave you five, and in a variety of formats. I hope there's something in there for everyone. Our heartfelt thanks to everyone who's enjoyed the Waiting for Your Cat to Bark experience, and to those of you who haven't... what are you waiting for?! But I'm not going to write about online video today. The real story is much bigger. The real story about the rise of online video isn't about the fact consumers seem to really like to watch short low-res video clips on their computers. Nope. The real story is that consumers are starting to take control of their media, and they really seem to like it. Control, not video, will have huge implications for advertisers, publishers, and marketers in the future. Welcome to the on-demand future. Prepare for major disruptions. The on-demand future isn't about just video; it's about all media. Click on over to ClickZ, and read the rest of his excellent article. Of course, while you're there, you may want to stop by here too. Problems with Landing Page Optimization?